Hawaii Real Estate is our business. 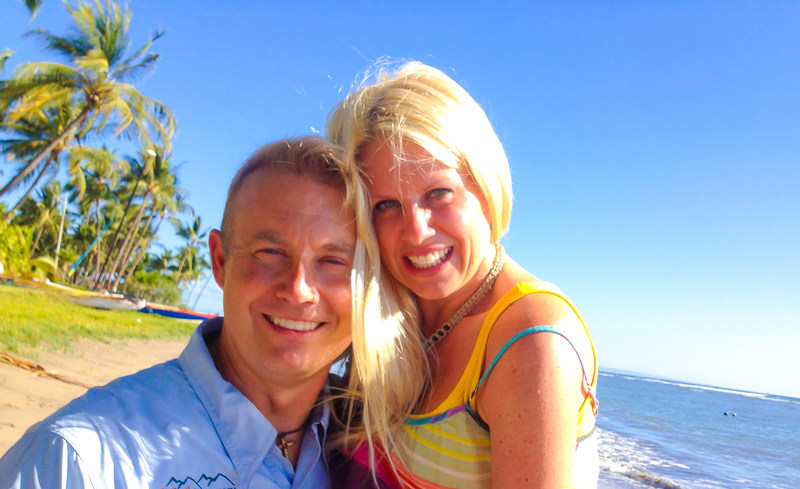 Eric and Lisa West Elite Pacific Properties Best Agents. We live here and we love Hawaii. Warmest Aloha to You and Your Ohana (family)! On HawaiiRealEstate.ORG you can simultaneously search all three MLS systems in Hawaii with one click we have seamlessly integrated them into one website. You can also search for 'fee simple' only real estate (thereby eliminating all leaseholds) Search only homes and condos with an ocean view, or direct ocean or beachfront. Just click 'advanced or refine" search to access these filters. And finally when it's time to get your questions answered, we have 10 agents on our team that service every side of every island, we have exceptional expertise. With over 150 years of experience servicing real estate transactions in Hawaii. Click to See Satisfied customer reviews. 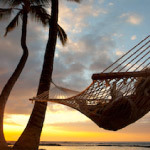 HawaiiRealEstate.org has been designed to quickly and easily help you find the right Hawaiian Home or Condos For Sale. Get connected today with a true local real estate expert. What Makes HawaiiRealEstate.ORG different from every other real estate website in Hawaii? LOCAL: First of all, we all actually LIVE here. That’s not always the case with other so-called Hawaii real estate websites. 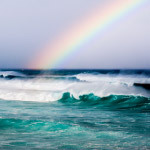 EVERY LISTING IN HAWAII: When it comes to the search engine at HawaiiRealEstate.org we seamlessly provide you access to every MLS system in Hawaii. This might not seem like a big deal, but most brokerages (and their websites) only focus on one island. We realize that initially, many buyers are not sure exactly which island they want to purchase real estate. It is for that reason that we have commingled all of the MLS feeds from across the entire state into one easy to navigate website. PRE-BUILT SEARCHES: Custom made searches for what you are probably looking for! We’ve gone by island, community, neighborhood and condo complex and built searches for homes, condos, land, bank owned, REO, Short Sales, by neighborhood and every condominium resort complex is ALL of Hawaii! Not to mention specialty searches like ocean front homes, homes with pools, condos that allow pets, and the newest listings to hit the market. Every day we learn about a better way to search and then serve up that data to help you. FAST: Not only is the site the fastest speed rated technology available today we’ve also optimized to work and function on every platform – desktop, Iphone, mobile, iPad, Android. But we also understand that the ability to find a good deal needs to happen fast as well. So, when you register on our site, we automatically create a smart search based on properties that you have already looked at online. Then we send you, automatically, the moment a new property hits the market that fits within your search criteria, you will be instantaneously notified via email. The fact is most of the really good properties at the right price and the best locations sell within days of hitting the MLS system. We put you in a position of power so that you have that information at your fingertips instantly. BEST AGENTS: The next thing that makes us different is that I have a network of the best agents, standing by, ready to work for you. (Maui, Big Island, Kauai, Oahu, Molokai and Lanai) If my area of specialty does not fit the area in which you are looking to buy real estate, then I will immediately put you in touch (personally) with the best agent that I know within each community in the Hawaiian Islands. I have researched and prequalified these agents as being equally committed to customer service, responsiveness, and with huge expertise in these micro-markets. You can rest assured that if I can't personally help you, I will put my reputation on the line and put you in touch with one my colleagues that will do an outstanding job. The network of real estate professionals within the Elite Pacific family is truly world-class. You can rest assured that we have the network to help you not only find your dream property anywhere in the world, but also to sell your home, condo, land, farm or ranch here in Hawaii. We simply have some of the best connections of qualified buyers throughout the world. We’d love to help you as well. SOLD DATA RESEARCH: We all know that information is power. In addition to the active listings on the market, we also provide sold data for most of the properties within the MLS. If for some reason our website does not display the most recently sold data, with the click of the mouse you can request this information and we will provide you custom search results. In today's market it really doesn't matter the asking price of the property. What really matters is the actual sold price of properties in that exact geographic area within the last six months. Your offer should be based primarily on the sold data. Most websites do not make this readily available…we do. PASSION: The final difference I believe is our passion for Hawaii. This is a truly special place. (It’s true that God made Hawaii last..we think he saved the BEST for last!) People not only come here for unique lifestyle, that’s unlike anywhere on earth. But they also come here as a realization of a dream, a life well lived…a place to rest and maybe even retire. Ultimately this place is home. And our job is to help you make it your home as well. We are committed to taking our professional excellence, our personal expertise, and our passion for this place called Hawaii and to transfer ALL of that all into helping you find THAT perfect place. You deserve a transaction worthy of paradise. One that is stress-free, reaches your goals and happens with perfect timing. Whether you are a seller looking to achieve the highest sale price in the shortest period of time, or a buyer trying to find a great deal on that perfect property. We are here to help at the drop of a hat. The Hawaii real estate market is highly specialized market with unique seasonal buying and selling pressures that require a local expert like Eric West to help you buy your dream home or condo with total confidence that Island Specific buying or selling conditions are not negatively influencing the final negotiated sale's price. Eric is a full time professional Realtor living in Maui. His undeniable passion for helping Maui home owners and buyers has earned Eric a reputation for being the Maui real estate expert. 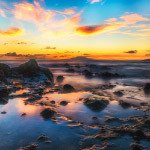 This site, www.HawaiiRealEstate.org is an ongoing labor of love that aims to make buying and selling in Maui and the surrounding islands as easy as possible. If you have any questions regarding the site's search functions or suggestions on how to make the site better we want to hear from you!